There are no direct flights from Birmingham to Cape Town (South Africa). 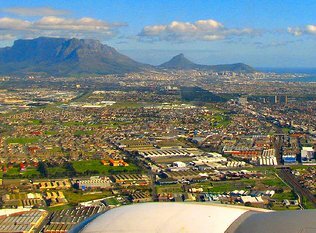 There are more options for flying from London to Cape Town than Birmingham to Cape Town. If you can make your way from Birmingham to London, you may then wish to fly from London to Cape Town. Another option is to check how much it costs to fly from Birmingham to Johannesburg and then to fly from Johannesburg to Cape Town.